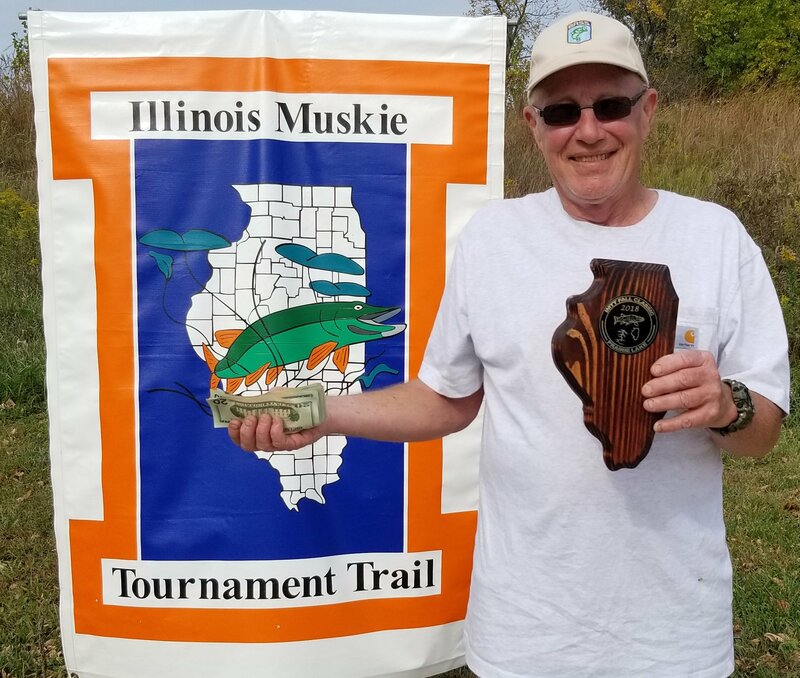 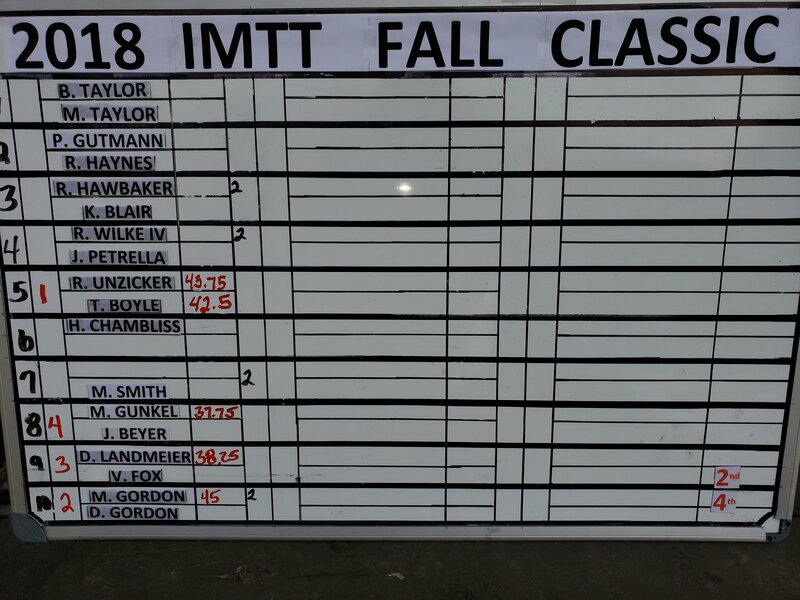 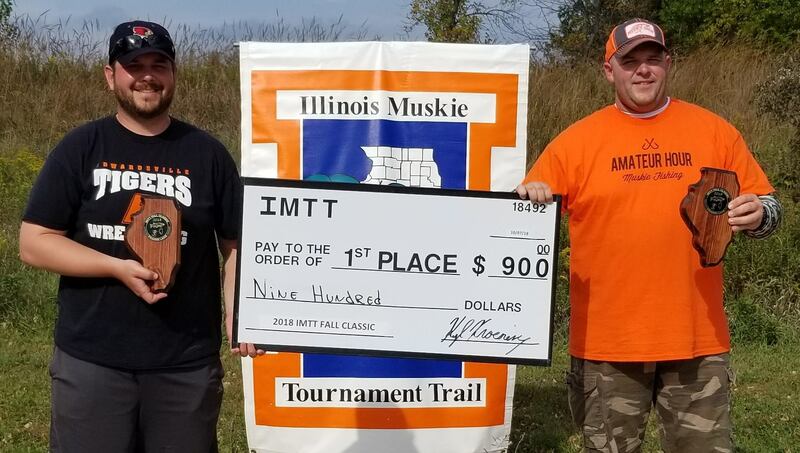 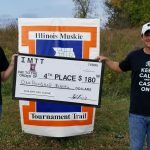 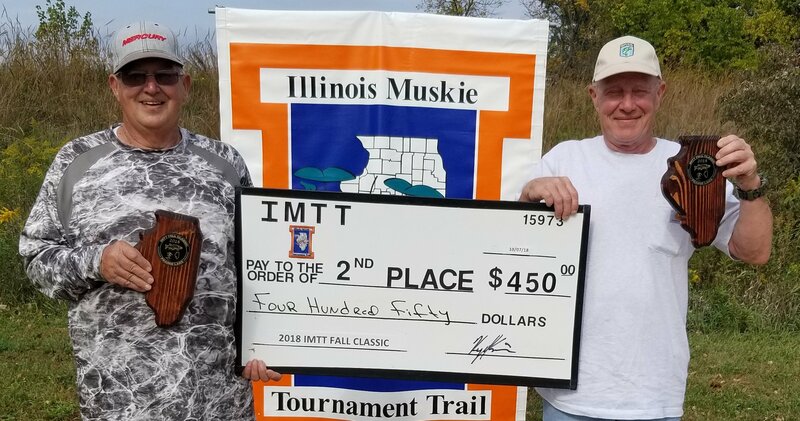 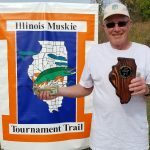 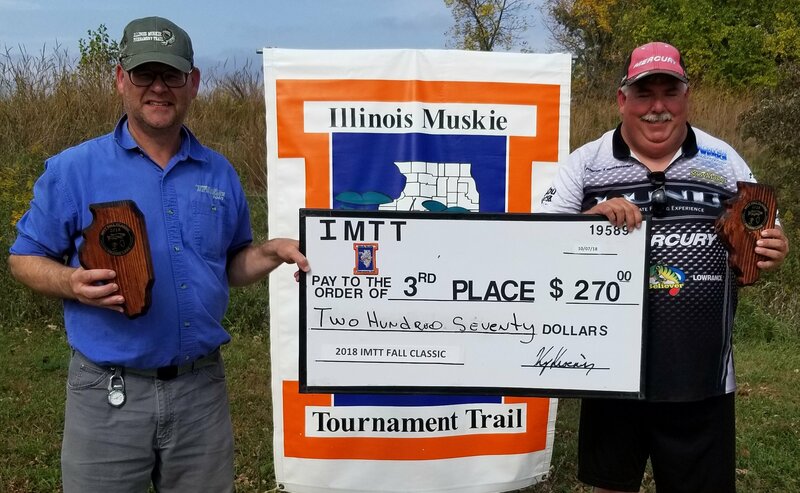 On October 6th & 7th 10 teams from throughout IL came to Prairie Lake in the Jim Edgar SFWA near Petersburg Illinois for the 2018 IMTT FALL CLASSIC. 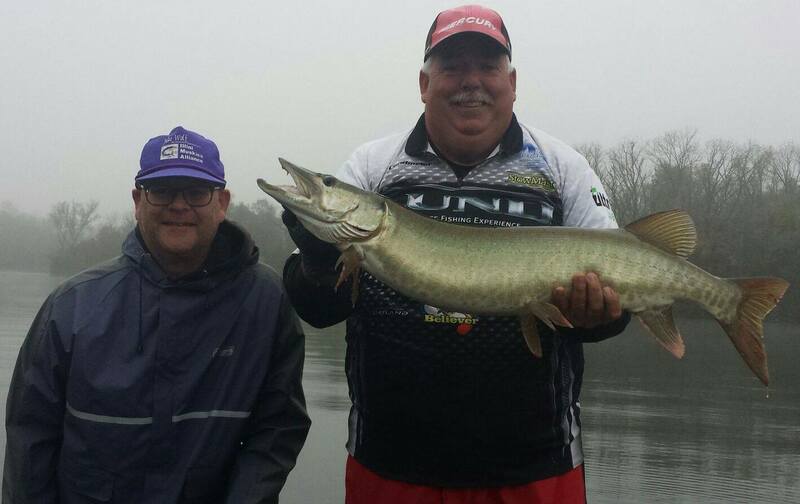 5 Muskies over the 30″ minimum were caught by the 18 entrants during the two day event. 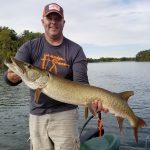 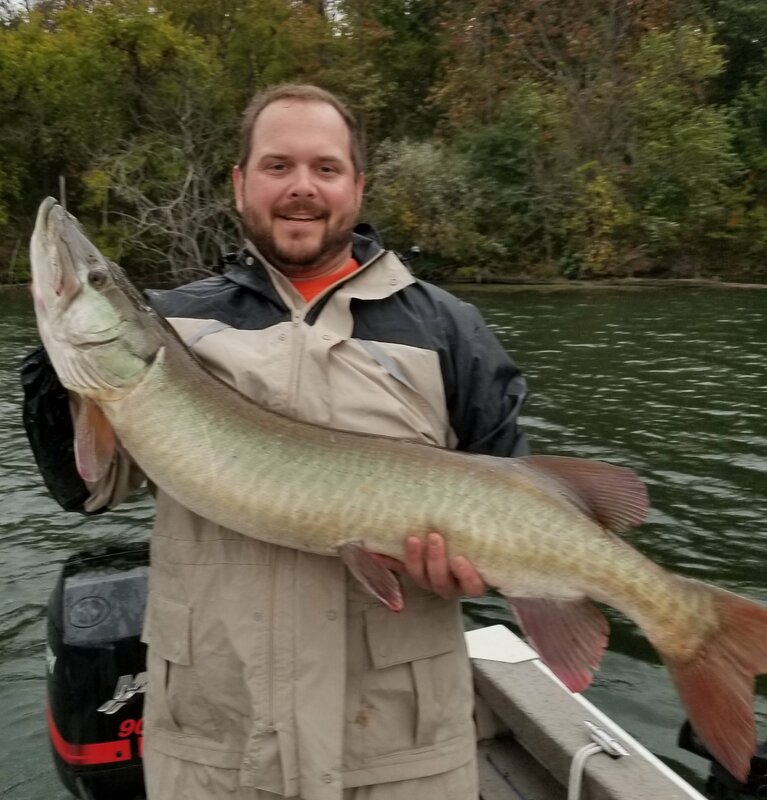 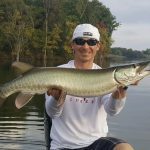 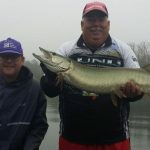 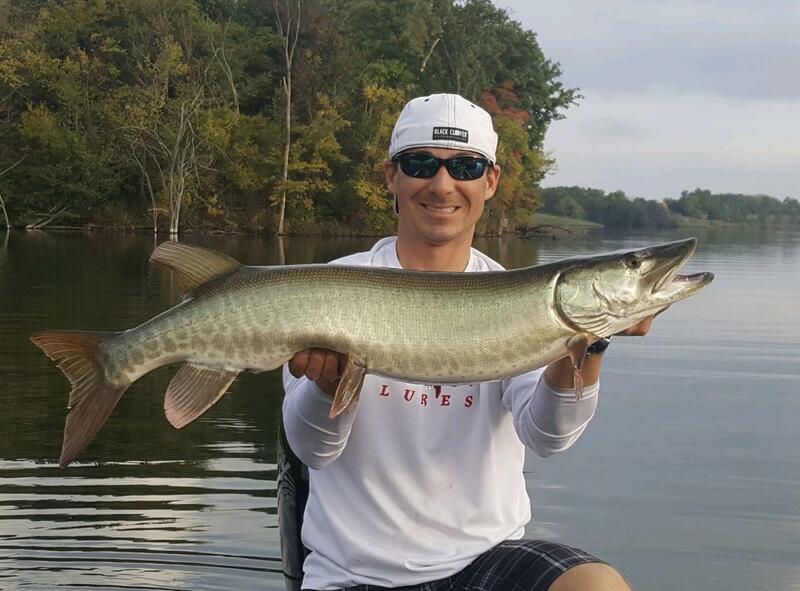 Mike Gordon’s 45″ Muskie was Big Fish of the tournament. 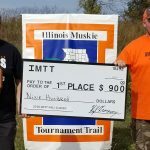 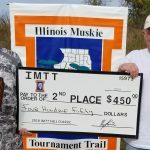 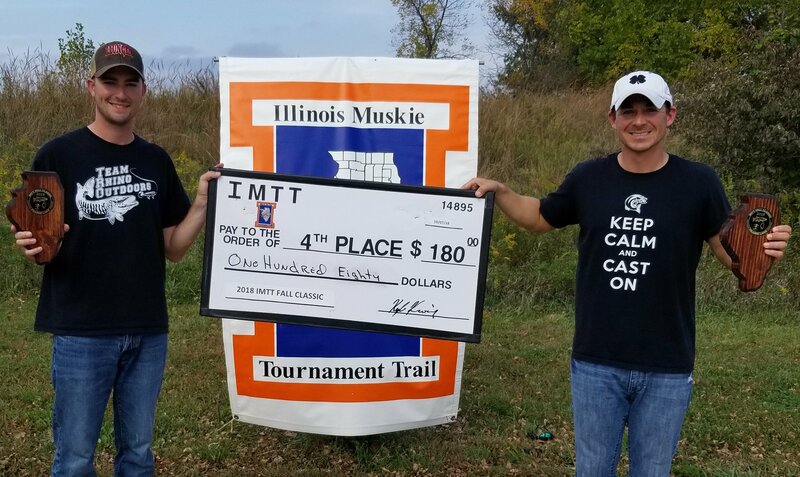 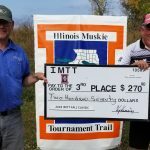 Up next on the IMTT schedule is the Shawnee Muskie Hunters Fall Brawl at Lake Kinkaid on October 20th & 21st. 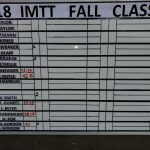 © 2018 IMTT - All Rights Reserved.